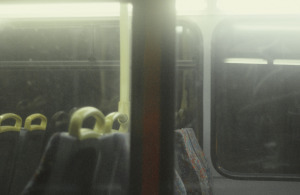 We've all fallen asleep on the night bus and ended up stuck at the end of the route (haven't we?) but if you don't have a home to (eventually) go to, the night bus can seem a good place to bed down. Particularly the 25, which takes two hours to plough between Oxford Circus and Ilford, on which 31 rough sleepers were found in just one three day period. Which seems fair enough to us - it's been bloody cold - except drivers were calling police and ambulances to the depot to turf the homeless out, and that means the bus is out of service. Cue an Outreach team dedicated to working with TfL to find these people, who are hidden from the usual teams by not being visible on the streets. 25 are currently being helped to find somewhere a bit more permanent to sleep. The London Delivery Board (which sounds more like it should be dealing in milk in the 1960s, but no matter) has also helped three-quarters of the city's "most entrenched" rough sleepers off the streets in the last year, according to its recent progress report.